Ready to Impress your Clients? If you’d like any of the designs below, they can be customized, and handcrafted to meet your specifications. 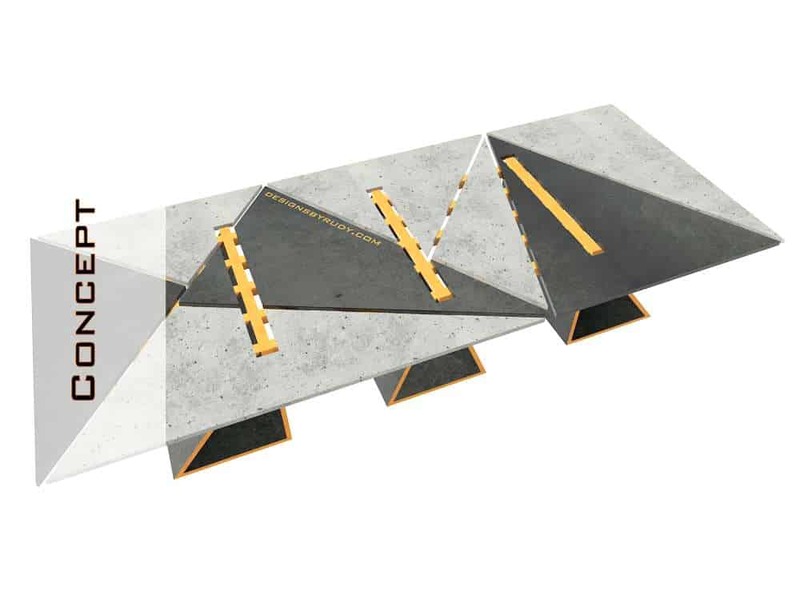 The designing process of every single one of my steel and concrete conference tables usually starts with choosing materials and finding a “seed”, an element unique to your brand. This would something that when incorporated into your table’s design, will make it inimitably special and give the table its soul. 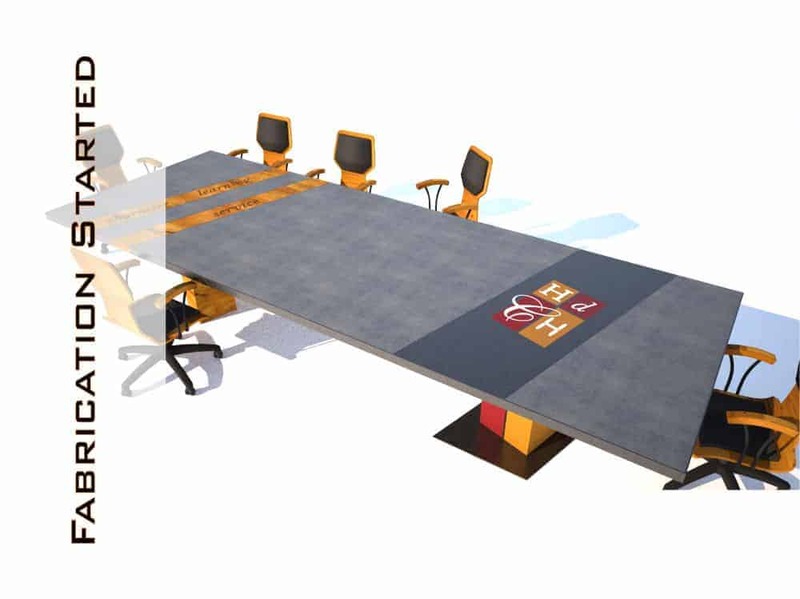 In most concrete boardroom table designs company logo becomes the main candidate for the seed. 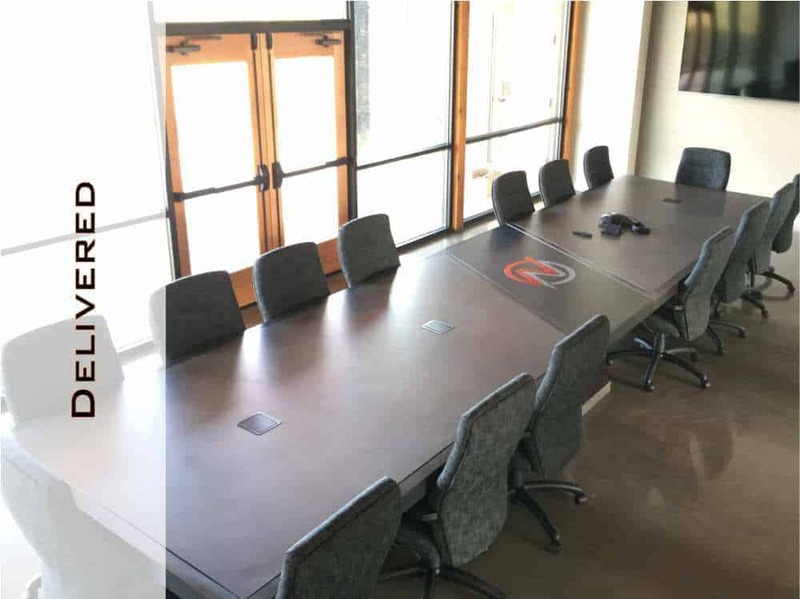 For symmetrical design enthusiast the logo ends up at the table’s top center section, however, asymmetrical designs give concrete conference room tables more character. 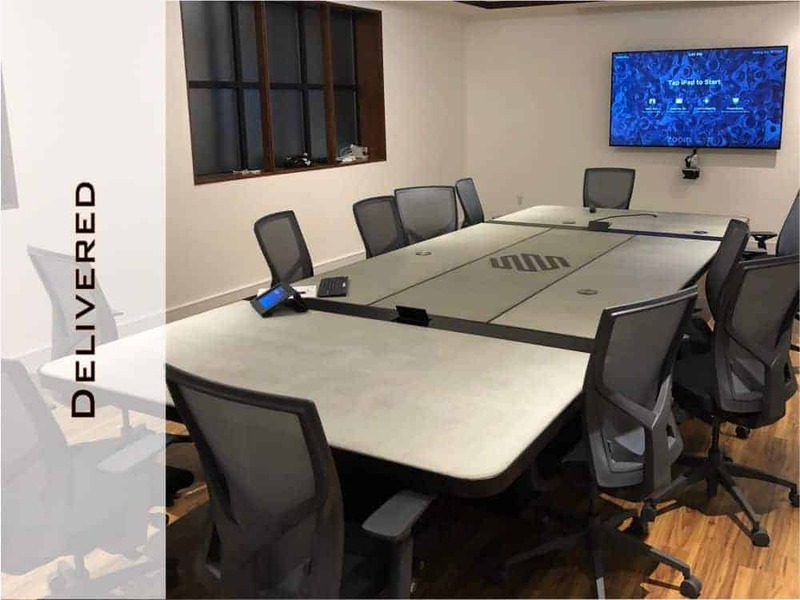 Although mostly covered with chairs, table’s base can also reflect on the company’s heritage and its part can become the focus point of the conference room area. 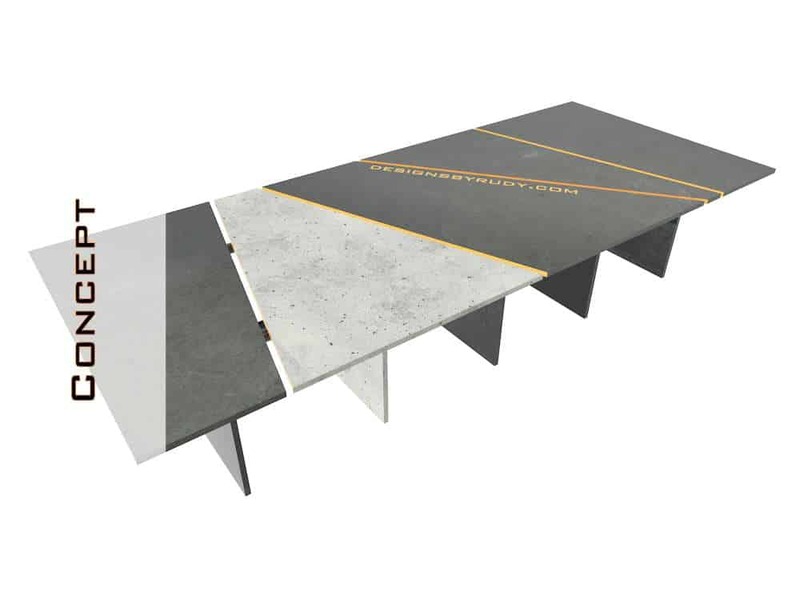 Check the center section of this table – https://designsbyrudy.com/concrete-conference-table-design-and-fabrication-northbank-gallery/ . 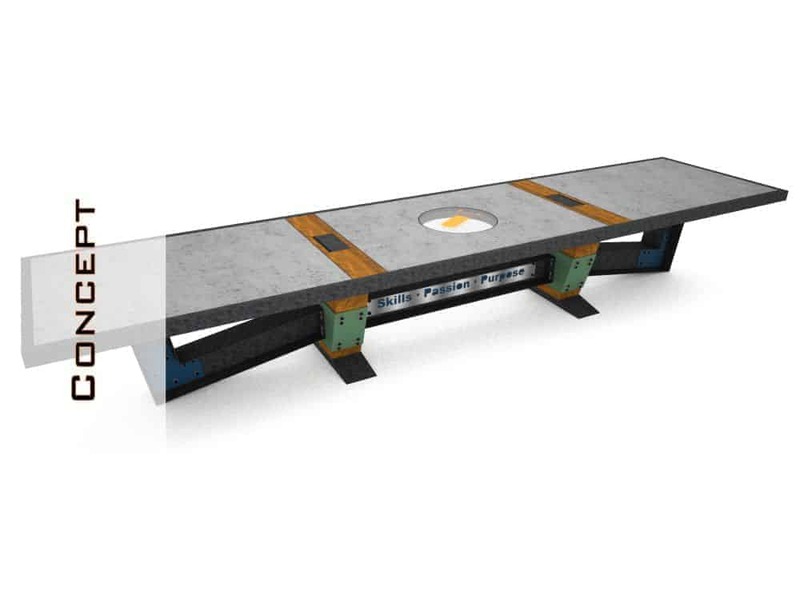 For even more dramatic effect, the top can be made from glass (full or partial / glass size limitations), to enjoy 3-dimensional view of the table’s structure below. 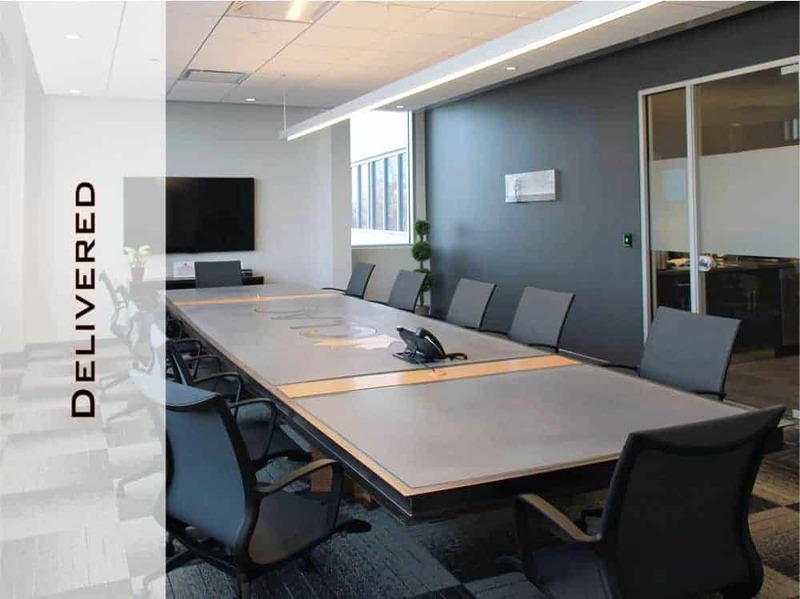 While steel base elements and concrete top conference table slabs dominate my designs, wood, glass, and other materials can be also incorporated into any project. 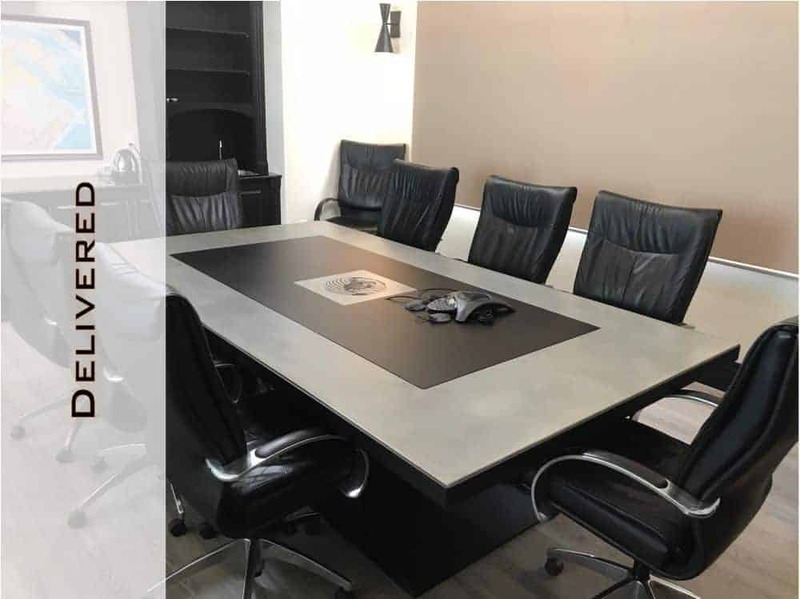 Conference table top can be made from steel, sheets of glass, concrete slabs, wood, or their combination. 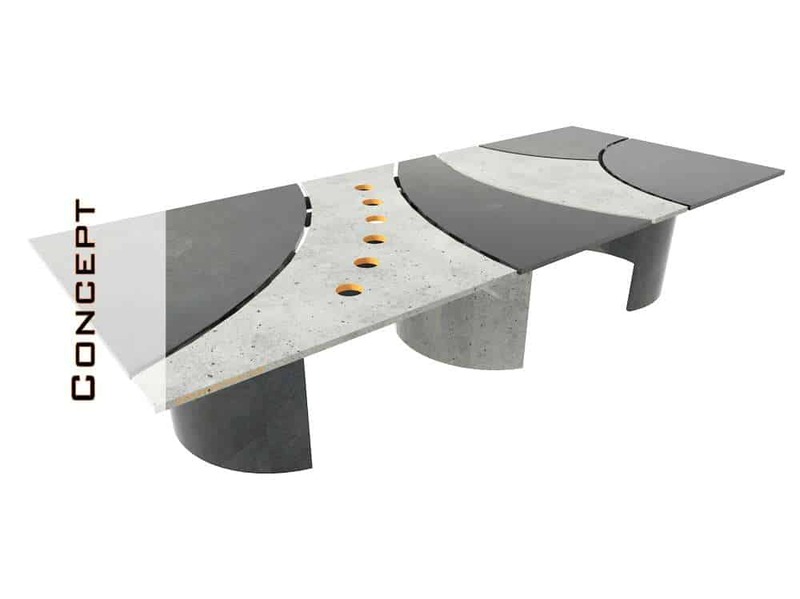 All of those materials, their shape, and form, may represent company’s heritage, and/or just accent the table’s design. 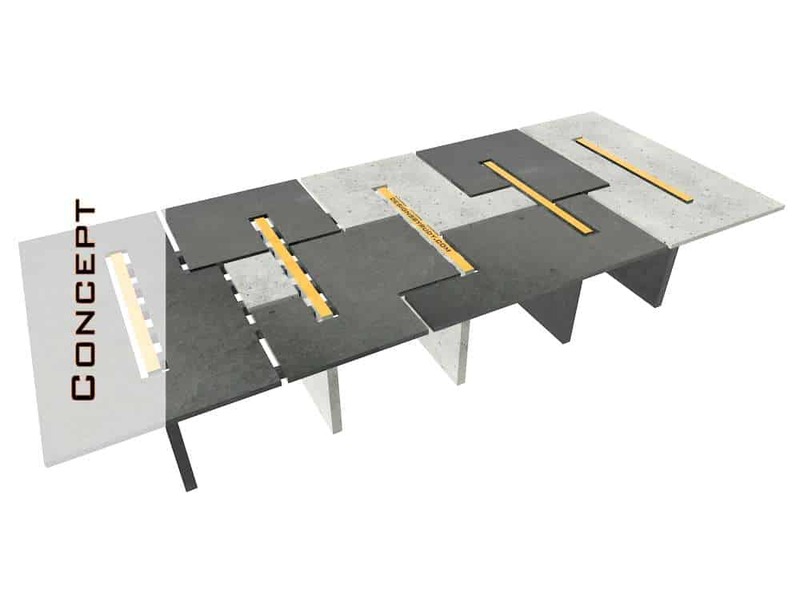 Table finishes also play an extremely important role in this process. 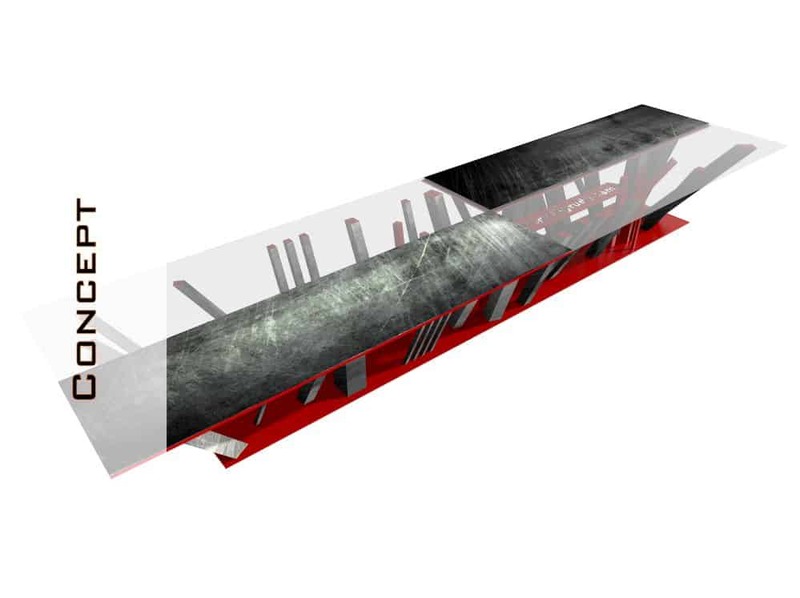 A raw steel I-Beam sealed with a clear layer of protective coating vs the same I-Beam covered with color paint offers entirely different experience. 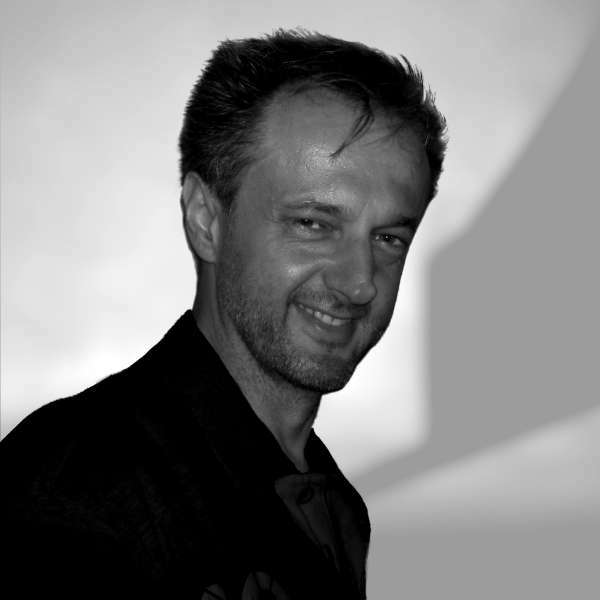 You will always work directly with me (Darek aka “Rudy”) on a steel and concrete conference table project. You don’t have to worry about the designs revision limits, you will not be stuck with a couple of designs to choose from. 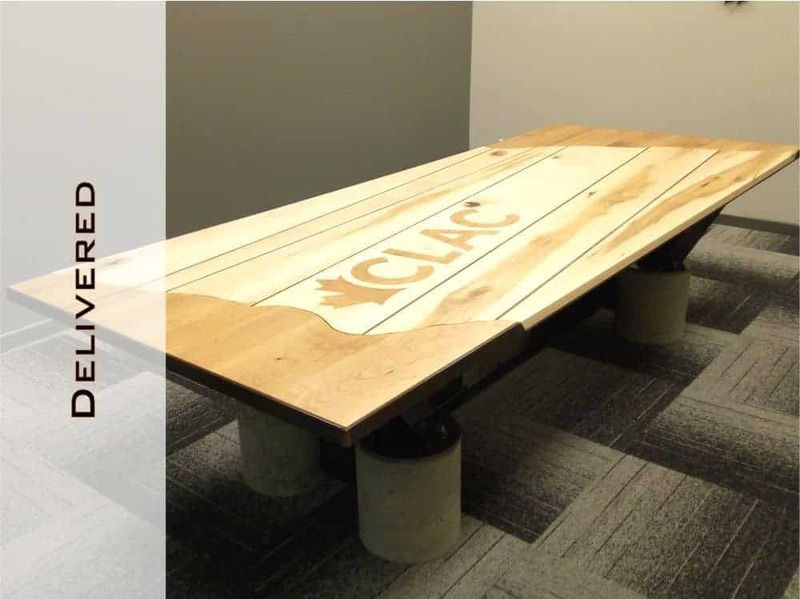 It’s very simple – your conference table design process is not complete until you love it! 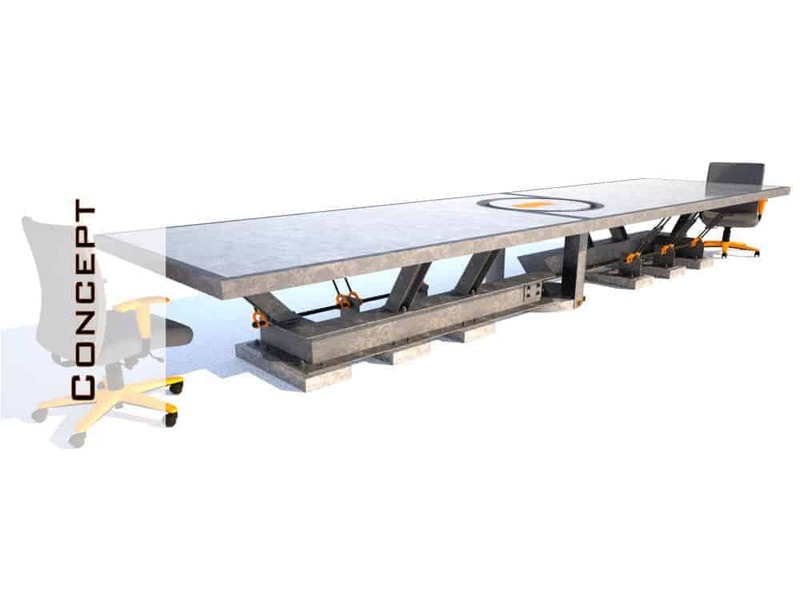 During the table fabrication process you will receive progress updates in a video or picture format. 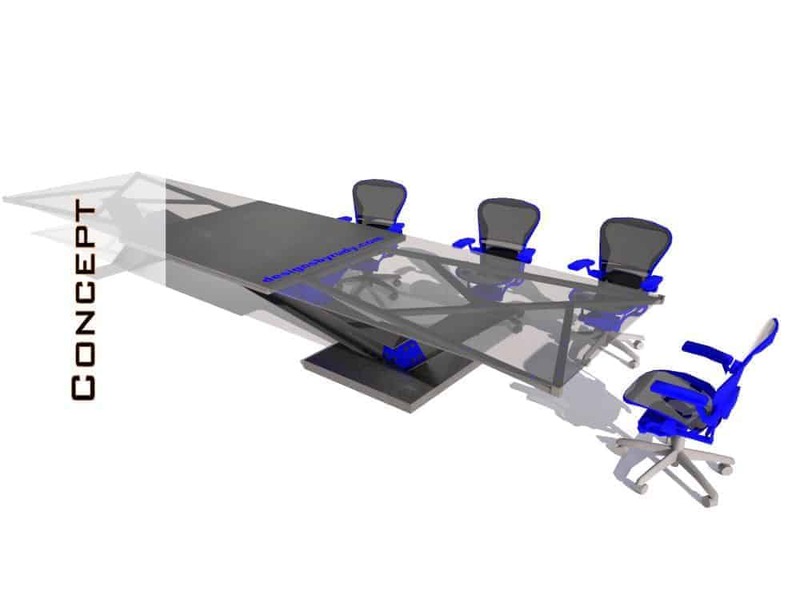 Typical lead time on a concrete conference table fabrication (excluding its design process) is 6-8 weeks. 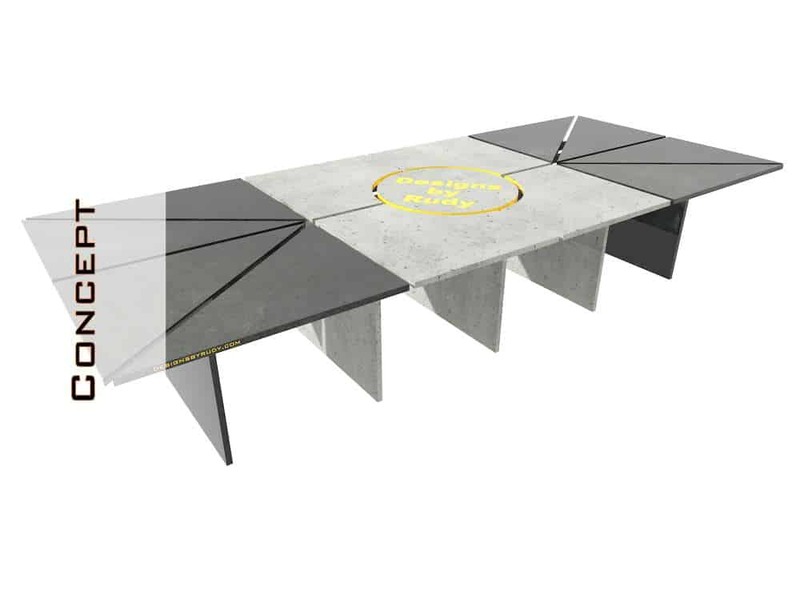 Please contact me if you’d like to have a unique concrete conference table designed and build to enhance your office. 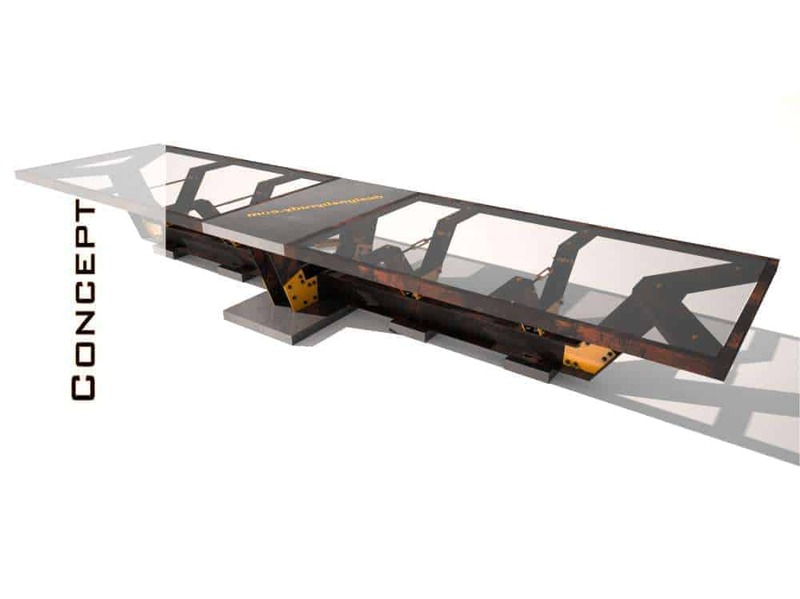 If you like my table designs, I’m sure I can create and build one for you. If sending an email, please describe your idea in as much detail as possible.